There is no greater feeling knowing that you are in total control of your vehicle. Restore your ability to stop your vehicle on a dime when you choose the experienced technicians at Tilden Car Care Center. At our local repair shop, we proudly provide brake service in Raleigh, NC, for vehicles of all makes and models. Whether your brakes are screeching or they do not work as smoothly as they used to, it is important that you turn to the professionals at the first sign of an issue. 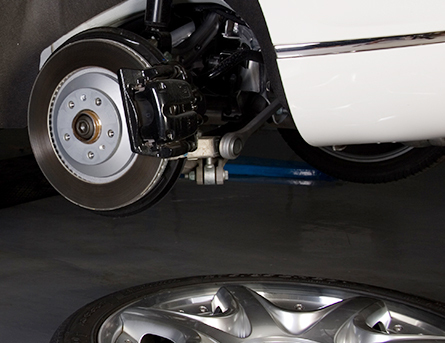 With our brake repair services, you will stay safe while you drive. Contact us today to request a consultation, and discuss your repair options with our team. At our total car care center, we take pride in providing comprehensive service that you can trust. We know how important your vehicle is to you. To that end, we are committed to providing reliable and accurate service that meets your needs. When you turn to our dependable auto technicians, you can have confidence knowing your vehicle is in good hands. We service cars, trucks, and sport utility vehicles from all of the popular manufacturers. While you are on the road, you may be wondering, “When should I replace my brakes?” More often than not, you may be onto something if you are already asking that question. Simply put, it’s all about being mindful of your vehicle’s performance and taking note of what doesn’t feel normal. Do you hear a strange noise when you try to stop the vehicle? Even a minor issue can cause your brakes to become ineffective, which can leave you and other drivers on the road in danger. If you are dealing with squeaky or worn brakes, it is vital that you deal with the issue as soon as possible. Taking a proactive stance on auto maintenance can go a long way in preventing critical mechanical failures. For your convenience, we can inspect your brakes whenever you come to us for routine maintenance. As part of our tune-up service, we can examine the critical parts of your vehicle, including the braking system, to determine whether you are due for a repair or replacement. Driving requires your full and undivided attention. It takes a split second for something to go wrong, and having a fast response time may be your only way to avoid an accident. Driver alertness is a key factor to safety. However, your ability as a motorist means nothing if your vehicle is faulty. By staying on top of your brakes, you will ensure that your vehicle is responsive when you need it to be. As your auto mechanics, you can count on us to help you stay informed about the condition of your vehicle. No matter what the cause of your brake problems, our automotive repair team has the solutions you need to restore your vehicle to a safe and functional condition. We perform auto repair work for every part of your brakes, including the pads and rotors. If we determine that your components are damaged beyond repair, we are available to take on brake replacement services for all makes and models. Contact us to request an inspection for brake repair service. Our auto care center proudly serves motorists throughout Raleigh, NC, as well as Wake Forest, Cary, Apex, Morrisville, and the surrounding area.